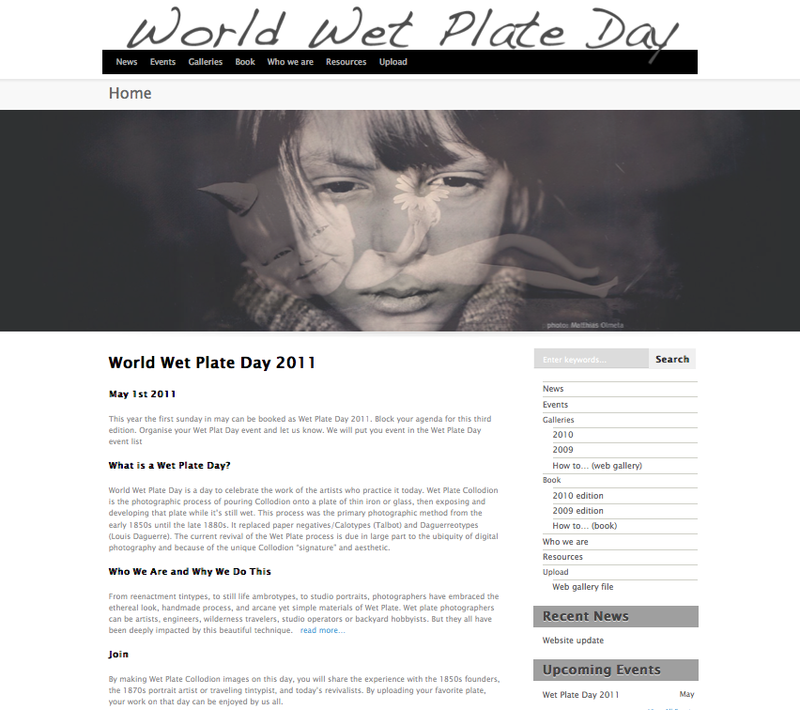 Get your gear up, your baths rolling and get ready for World Wet Plate Day 2011! This year it will be held on Sunday May the 1st. Quinn Jacobson is working on the book of 2010 which has not been published yet due to time issues and the like, and will also be making the 2011 edition. Keep up with the latest news on this site: Wet Plate Day. You can also upload your photo made on the 1st of May there to be included on the website and / or book of 2011. This entry was posted on March 10, 2011 by Contrastique. It was filed under Wet Plate Collodion-Process & Chemistry and was tagged with 1st of May, 2011, wet plate collodion, World Wet Plate Day.